Are you interested in becoming a food vendor at French Quarter Festival or Satchmo SummerFest? The Festival Food Committee, comprised of French Quarter Festivals, Inc. (FQFI) board members, former board members, and others, approves all concessionaire applications. 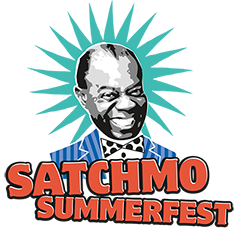 The Committee’s objective is to ensure the best possible selection of concessionaires for French Quarter Festival and Satchmo SummerFest in order to create a diverse menu and a quality culinary experience for festival-goers. Concessionaire selection is made at the discretion of the Committee. To be considered for an invitation to vend at French Quarter Festival and Satchmo SummerFest, applicant must first add their business to our wait list. Click here to add your restaurant to the wait list. The Festival Food and Beverage Committee, headed by the Food and Beverage Manager is comprised of French Quarter Festivals, Inc. (FQFI) board members and Industry experts, advises on the curation and selection of concessionaires for French Quarter Festival and Satchmo SummerFest in order to create a diverse menu and a quality culinary experience for festival-goers. Concessionaire selection is made at the discretion of the Food and Beverage Manager. Preference is given to vendors who have already participated in FQFI events and are in good standing due to past compliance. Renewal applications are required for each year in early December for FQF and May for SSF. After all past vendor applications are processed and if space permits, new vendors may be invited to participate in a tasting before the Food and Beverage Committee. Preference for new applicants is given to vendors located in the French Quarter Neighborhood, New Orleans, then the Greater New Orleans area, then Louisiana. Vendors located outside the state of Louisiana are not eligible for consideration. Applicant must be an established, ongoing food service operation available to the public with regular operating hours. Catering companies are considered for participation on a case by case basis. Applicant must have and be able to present a copy of a current Occupational License issued by the City of New Orleans or appropriate agency. If the applicant is located outside of Orleans Parish, a Temporary Occupational License from Orleans Parish must be obtained. Applicant must also have a permit to operate from the Louisiana Department of Health and Hospitals. No chain restaurants (more than 3 in existence) will be considered. New applicants will not be given the option of vending alcoholic beverages at the Event. Applicant must be able to describe and execute up to three high quality menu items. All menus are subject to approval. Menus are then reviewed at the tasting before the Food and Beverage Committee. You may also email Heather Twichell, Food and Beverage Manager, heather@fqfi.org for more information.